The PECHOR is an easy to use but velvety sounding Chorus effect. With only three controllers Rate, Depth and Intensity you will easily and quickly find the sound you're looking for! 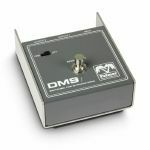 Notes: The Palmer DMS (Dynamic Mic Switcher) routes a microphone signal to two footswitch-selectable outputs. The Palmer DMS is a passive unit for dynamic microphones only. The switch is instantaneous and is operated via a footswitch. - Switch your vocal mic between the FOH and monitor mixing desks to communicate with the monitor mixer or the band on stage. differently. Now you can freely toggle between them on-stage at any time. - You can also use the DMS to route the signal to two rooms or zones and select either one. 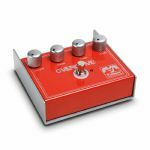 Notes: The PEOD Overdrive is designed to saturate both your guitar signal and amplifier. The Clean control mixes your original guitar signal in with the overdriven signal to maintain attack and definition providing the effect of stacked amps, one set clean and the other with a distorted setting. The pedal can also be used as a booster with the clean control all the way up and the gain control at 0. With the clean control at 0, the PEOD provides all the sounds of a classic overdrive effect. Notes: Universal aluminium Pedalboard for the storage of all commercially available floor effects. The cross bars as well as the height and the tilt of the Pedalboard can be individually adjusted. The cross bars are already covered with Velcro (fleece), a sufficient amount of hook strap is also included. Power supplies and similar peripheral devices can be mounted below the board. For this the Pedalboard features 4 practical hooks on the underside. 2 Elastic bands are supplied - making fixation easy! Notes: Universal aluminium Pedalboard for the storage of all commercially available floor effects. The cross bars as well as the height and the tilt of the Pedalboard can be individually adjusted. The cross bars are already covered with Velcro (fleece), a sufficient amount of hook strap is also included. Power supplies and similar peripheral devices can be mounted below the board. For this the Pedalboard features 4 practical hooks on the underside. 2 Elastic bands are supplied - making fixation easy! This set also features a high-quality padded softcase with an accessory compartment and a shoulder strap. 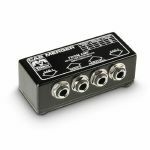 Notes: The Palmer PF2SW is a variable dual footswitch for all devices with a footswitch port. It is suitable for channel switching of amplifiers, to turn on and off built-in and external effects, and can independently control two devices; bright LEDs indicate the switching status. The two circuits of the PF2SW can be adjusted individually to the respective function of the connected devices. To do this, the sliding controller chooses between contact closure and electronic impulse as well as open or closed position of the relay, a further controller selects one of the two footswitches as master for simultaneous switching of both circuits. In most applications, the PF2SW can be connected using conventional 6.35 mm jack cables. Notes: For guitar players wanting "more" the Pocket Booster is simply perfect. With just a Gain control the pedal is nonetheless extremely versatile: you can use it to increase the volume of an anaemic amp, or slam the front end for more overdrive. Before dirt boxes, the Pocket Booster generates more saturation and compression; placed at the end of an effects chain it provides a lead level boost. The Pocket Booster works on a 9V battery or optional power adapter, e.g. Palmer PW9V. Notes: Recreating the classic sounds of a spring reverb unit, the Palmer Vintage Reverb provides extensive control. Decay lets you dial in reverb length from a subtle bounce to cavernous tails, a tone selector adds natural warmth or splashy brightness, and mix blends in the effect with the dry signal. The compact pedal features a heavy-duty footswitch and runs on a 9V battery or optional power adapter, e.g. Palmer PW9V. Notes: The PWT 08 is a universal pedalboard power supply with huge 2,000 mA output capacity and 8 standard centre negative outlets. Two of these are switchable to 9, 12 or 18 volts, and with the included Y cable they can be combined to a single outlet for 21, 24, 30 or 36 volts maximum output. They are isolated from each other and the remaining outlets. Featuring short circuit and overload protection, the PWT 08 is fully regulated to deliver constant voltage. The unit sports a power on LED, bi-colour outlet status LEDs and comes with a set of DC cables and dedicated mains adapter. The PWT 08 is the ideal choice if you have just one or two power hungry pedals or 9 volt effects that can be run on higher DC currents for more dynamics and headroom. Notes: The PWT 12 is a heavy duty (2000 mA) universal pedal board power supply with 12 isolated 9 V DC, centre-negative female pin-connector outputs. Four of the outputs feature adjustable voltage from 6 to 18 volts. The variable outputs enable the simulation of voltage drop or 'battery sag' in old batteries. The power supply is regulated for constant voltage supply and protected against short circuit and overloading. The PWT 12 is equipped with a power LED and a two-colour LED output status indicator. It is supplied with an AC adapter and a set of DC cables. 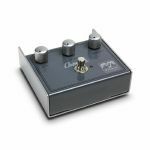 The PWT 12 is the ideal solution for power-hungry foot pedals or 9-volt effects units that can be operated at higher voltages for increased dynamics and stability. Notes: With Palmer Monicon, your monitor volume is always under control. The passive mini-mixer with the oversized control is inserted between the stereo output of the notebook, PC or interface and an active monitor system and thus permits convenient and precise volume control of the monitors from the workstation. The passive circuitry with only a few components has absolutely no effect on the sound. Mute and mono buttons make it possible to mute the outputs and merge the stereo output signal into a mono master signal. The inputs and outputs of the controller are equipped with XLR connectors and the 3.5mm stereo TRS sockets usually found on computers. 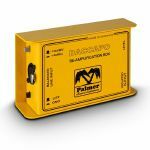 Combo input sockets also permit connection with 6.3 mm TRS plugs, thus the Palmer Monicon is compatible with both professional and consumer equipment. Genuine wood sides make the practical studio tool in its massive powder-coated sheet steel housing an elegant looking "little helper" that is a typical Palmer product.